A couple of weeks ago Michael sent out a press release. 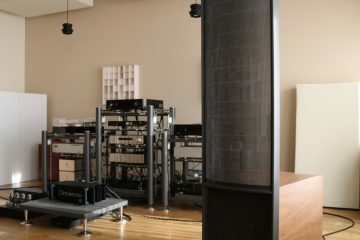 In addition to Mark Levinson, Wilson, Transparent Audio, JBL, Revel and Ayre, Reference Sounds has now also taken the distribution for Dan D’Agostino on board. Dan D’Agostino’s Masterpieces components truly are something to behold. I’ve tried to capture their beauty but photos really do not do them justice. 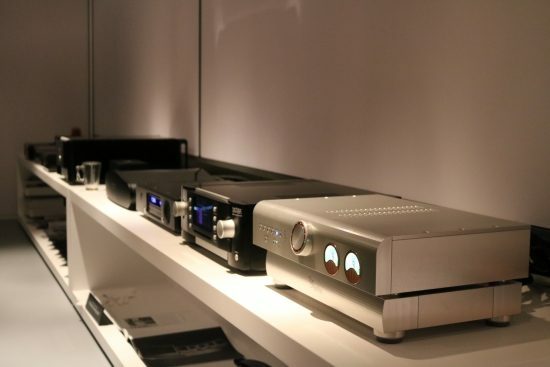 The mono amps are smaller than you’d expect, yet all the more beautiful for it. The finish of the materials is gorgeous and because the centerpiece and side panels are machined from single pieces of aluminum, the components are extremely solidly made and have a seamless appearance. 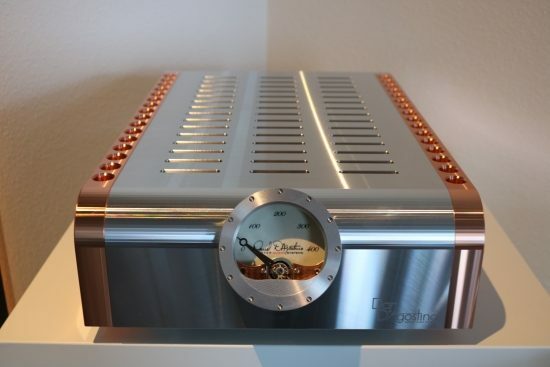 The sides are made from pure copper which has extremely good conductivity not only for electricity but also for warmth. That, and they look really cool, of course. 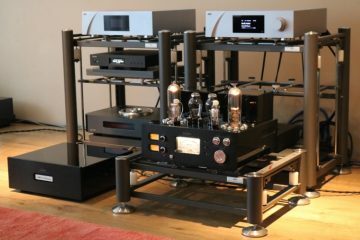 The Momentum monoblocks were only on display. 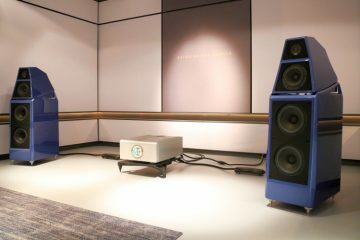 Connected to the Wilson Alexia’s in the main listening room were the Progression preamp and stereo power amp. 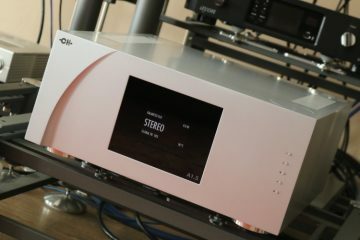 The source was a Mark Levinson 519 universal audio player, for this occasion used with CDs. 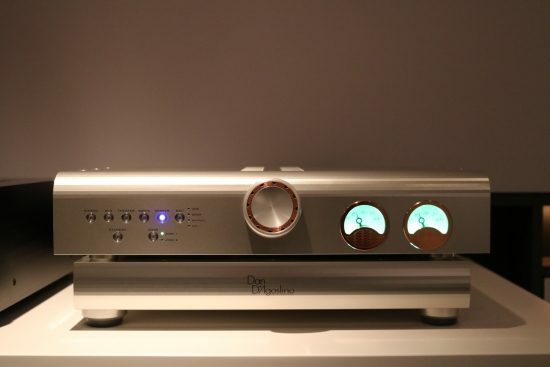 The player, as well as the preamp, were powered by a Transparent Gen 5 Reference Power Isolator, using Transparent Gen 5 power cables. 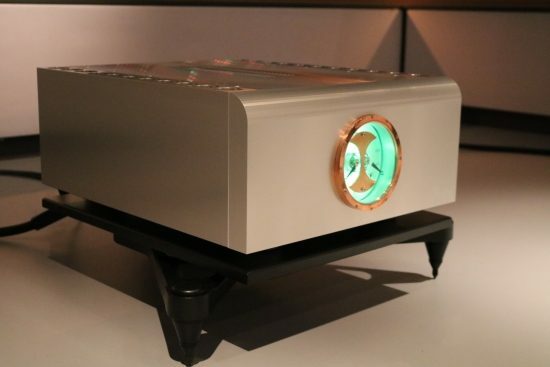 The interlinks between 519 and Progression preamp were Transparent Gen 5 Balanced Ultra. 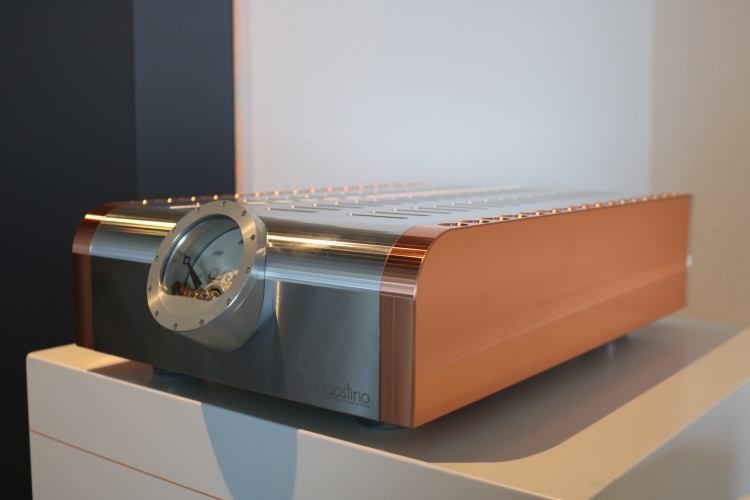 The interlinks between Progression preamp and the Progression power amp were also Transparent Gen 5 Balanced Ultra. 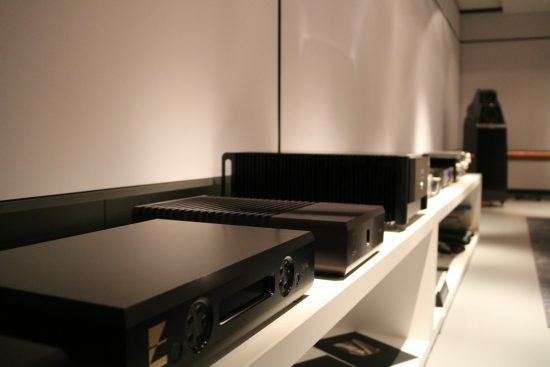 The Progression power amp was powered directly from the wall outlets, using Transparent Gen 5 Premium Power Cable with 20Amp power connector. 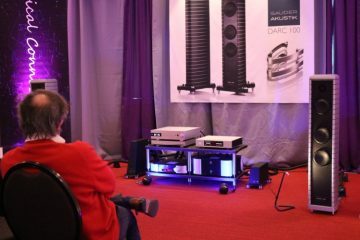 The speaker cables were Transparent Gen 5 Reference series. 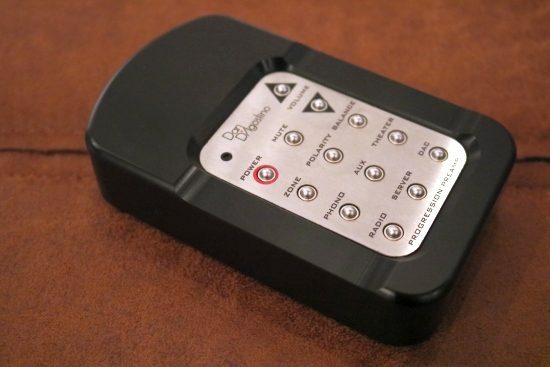 Above: the Progression preamp’s Bluetooth remote control. To me, it looks a little odd and is not very ergonomic, but it functions very well. 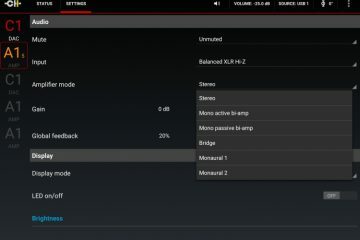 The upside of using Bluetooth is that you don’t have to point it at the preamp. The Wilson Alexia’s had been moved subtly since my previous visit and now provided an even more focused sound, along with a superbly spacious, room-filling aura. But I’m sure that this was not just attributable to the speaker position. Rather, I have a strong feeling that the spaciousness especially is something that the Progression components brought to the party. 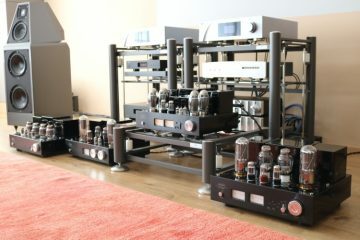 On the previous occasion, Michael used the Mark Levinson no.52 preamp and no.53 mono power amps. 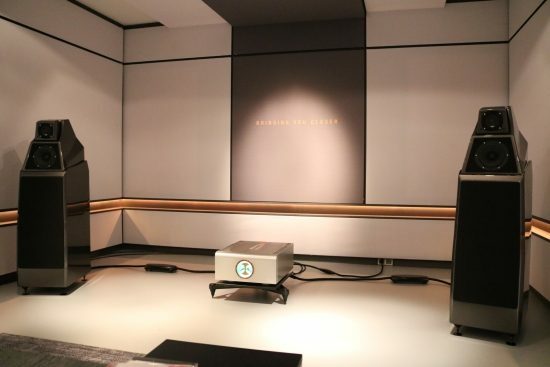 This system produced a very tight and articulate, and very dynamic sound. It was very impressive, but also a little too dry for my taste. This time around, driven by both Progression components, it was almost like listening to a different speaker. 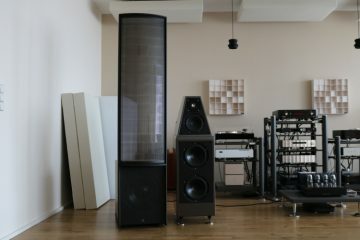 The sound was gloriously smooth and rich, yet extremely refined and transparent. It was a combination of two opposites that are usually mutually exclusive. 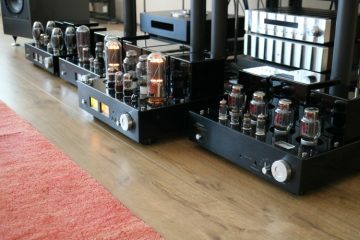 In spite of the amps smoothness, there was also superb transparency and great clarity. The smallest individual sounds could still be heard easily, no matter how much violence was going on around them. Just the same, treble was sweet and fluid yet nicely airy and refined and the bass… well, there’s authority and then there’s AUTHORITY! It was big and sonorous, but never slow or imprecise. It was not just about slam or dynamic behavior: sustained notes, too, were produced with flabbergasting, drool-inducing power. This was a sound that begged to be turned up, and Michael did so frequently. Even at storm-level, the sound was never aggressive, never bright. Naturally, I brought along some of my own CD’s to better assess the system’s qualities. As it turned out, all music was played with equal aplomb. However, I did notice that the system liked to play a little louder than I normally do. 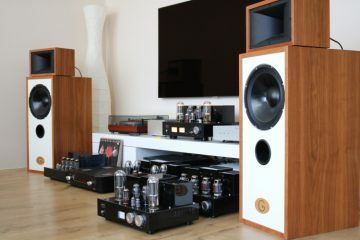 With the volume set at levels that I am used to from my domestic situation, the system still sounded great, with all aspects intact, but also a little shut-in and dynamically less expressive than when playing a little louder. I informed Michael about this and he had to admit to not having used the system at anything but hurricane level:-) Nevertheless, he would look into it and I have no doubt that he will be able to further fine-tune the system to adjust for this aspect. I know that the No.390S has always been one of your reference points, so I am wondering if have you any further thoughts on the qualities of the latest No.519? Also, I’m curious, did you ever try a No.512? That’s what I currently use. All the very best and thank you for your efforts, they’re appreciated. Hi Bill, indeed, I found that the No.390S was fantastic for combining smoothness and fluidity with great resolution and refinement. 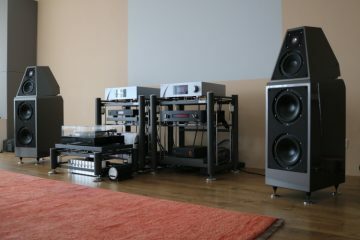 These days I’ve almost completely stopped playing CD’s and use Music Servers, latest discovery being Antipodes and Melco. I’ve only used the No.512 in the Dutch distributor’s demo room without comparing to anything else so can’t really say anything about it. Thank you for your reply Christiaan. Maybe you might possibly consider getting a No.519 in for review? That would be really interesting as it covers both bases – streaming and CD. In fact even preamp duties, I understand!